In many ways this is an unromantic romance. 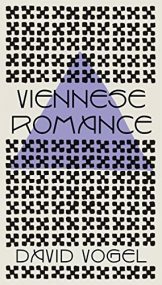 Set in Vienna early in the 20th century, it is a recently discovered text by Vogel, a leading poet and author whose work was compared with Kafka and Thomas Mann, among others. His only published novel before this one was Married Life. Whilst presenting a decadent city in the fraught years before the outbreak of war in 1914, it follows in detail the adventures of Michael Rost, a young Jewish man eager to follow up contacts with everyone he meets, some virtuous, others less so.